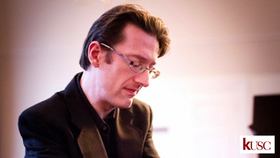 Welsh pianist Llŷr Williams is widely admired for his profound musical intelligence and the expressive and communicative nature of his interpretations. 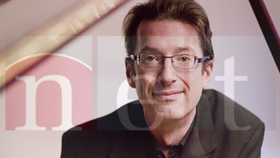 He has worked with the BBC National Orchestra of Wales, Scottish Chamber Orchestra, London Philharmonic Orchestra, London Symphony Orchestra, Royal Liverpool Phiharmonic Orchestra, BBC Philharmonic Orchestra, Hallé Orchestra, Sinfonia Cymru, I Pomeriggi Musicali, Meininger Hofkapelle, Berner Kammerorchester, and the Mozarteum Orchestra in Salzburg. 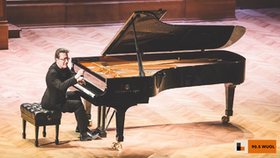 A regular performer in the Wigmore Hall's main piano series, he also appears at the BBC Proms in London, Gilmore International Keyboard Festival in the USA and has given many acclaimed performances at the Edinburgh International Festival. 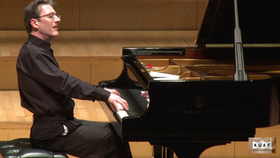 He is a regular performer at the East Neuk Festival in Scotland, Piano aux Jacobins in Toulouse, and is currently artist in residence at Galeri Caernarfon and the Cowbridge Festival in Wales, and Artist in Association at the Royal Welsh College of Music and Drama. 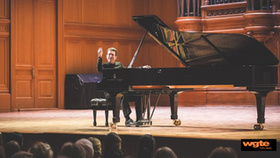 In the 2016-17 season, Williams made a series of critically acclaimed debuts in the US, at Washington Performing Arts, Portland Piano International and Da Camera of Houston. His performance in Washington led the Washington Post to conclude that ‘His infallible technique serves a keen musical intelligence, with every phrase supported, balanced and imbued with unequivocal meaning'. 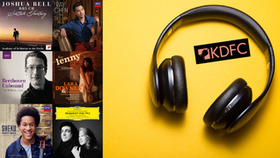 The 2017-18 season includes further US debuts at the Union College Concert Series and the Friends of Chamber Music, Kansas City, as well as his Russian debut in the Great Hall of the Moscow Conservatory. The season also includes Williams' debuts with the Royal Philharmonic Orchestra and at the Belfast International Festival of Chamber Music, and a return to the Newbury Spring, Cowbridge and Swansea Festivals. It also marks the start of a five-recital exploration of late Schubert works at the Royal Welsh College of Music and Drama. 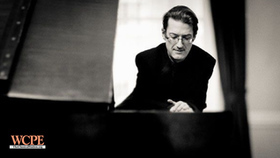 Williams is an acclaimed performer of Beethoven with several complete piano sonata cycles under his belt. Following a successful first cycle in Perth, Williams subsequently performed a complete cycle during an epic two-week marathon in Edinburgh that won him the prestigious South Bank Show award. He later completed two cycles as a nine-recital project at the Wigmore Hall and the Royal Welsh College of Music & Drama in Cardiff between 2014 and 2017. In January 2017 he completed a successful collaboration with the Scottish Chamber Orchestra in performances of all five Beethoven piano concerti. 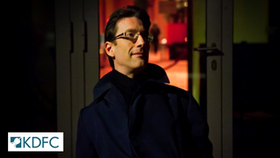 Llŷr Williams' great love of lieder has led him to become one of the regular official accompanists at the BBC Cardiff Singer of the World Competition, resulting in further collaborations with soprano Jamie Barton, baritone Quinn Kelsey, and bass Amartuvshin Enkhbat. 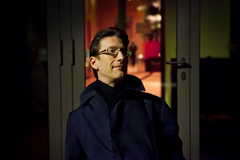 Llŷr Williams' eclectic taste is reflected in his discography. April 2018 will see the release of the 12-CD Box CD set of the Wigmore Hall Beethoven cycle on Signum Records. His previous critically acclaimed CD, Wagner Without Words (Signum, August 2014) reflects Williams' intimate relationship with operatic music. 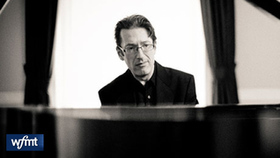 Williams had previously recorded two solo albums for Signum, one with music by Mussorgsky, Debussy and Liszt and the second dedicated to works by Liszt. 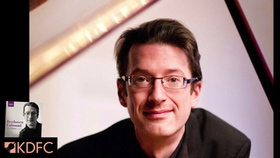 Born in 1976 in Pentrebychan, North Wales, Llŷr Williams read music at The Queen's College, Oxford and went on to take up a postgraduate scholarship at the Royal Academy of Music where he won every available prize and award. He is also an Honorary Fellow of the Royal Welsh College of Music and Drama. He was an active member of the Live Music Now! scheme for several years, was selected for the Young Concert Artists Trust in 2002. From 2003-2005 he was a BBC New Generation Artist and in 2004 received aBorletti- Buitoni Trust award. 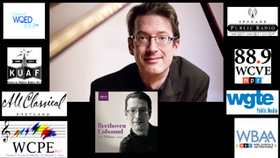 A stunning 12-CD box set, Beethoven Unbound, will be released to mark the completion of Llŷr Williams' monumental Beethoven cycle at Wigmore Hall and the Royal Welsh College of Music and Drama (RWCMD). All the works were recorded live at Wigmore Hall over three years and nine recitals, and the box set will be released by Signum Classics internationally on 30 March 2018. 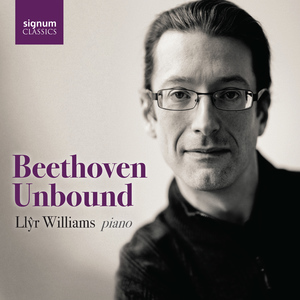 The stunning Signum Classics 12-CD box set, Beethoven Unbound, marks the completion of Llŷr Williams' monumental Beethoven cycle at Wigmore Hall and the Royal Welsh College of Music and Drama (RWCMD). 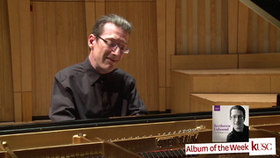 All the works were recorded live at Wigmore Hall over three years and nine recitals, and along with the complete piano sonatas, the box set also features other works including the 32 Variations in C minor, Eroica Variations, Opus 126 Bagatelles and the Diabelli Variations, a total of almost 14 hours of music. 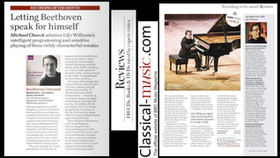 This is Williams' fourth album on Signum Classics. 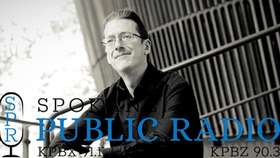 89.7WCPE, Classical Host - Jonny Pierce sat down with Williams to discuss this monumental untertaking. Listen to the attached interview.